Gateway Metals Focused on Strong Inventories and Service at a Competitive Price. | Gateway Metals, Inc. The first quarter of 2016 has come to an end. As the second quarter starts, Gateway Metals, Inc. (GMI) has taken steps to improve its inventory positions on all its products including NADCA Premium H13, 4140 Holder Block, cold work die steels, and specialty grade steels. A special emphasis was placed on tool steel round bar in A2, D2, S7, and H13 ESR. Please give us a call or email today on your specific needs and GMI will service you very quickly at a very competitive price. 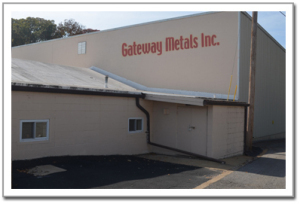 Gateway Metals, Inc. (GMI) is an independently owned and operated full service tool and mold steel distributor located in St Louis Missouri. GMI’s inventory includes tool steel, mold steel, alloy steel, NADCA approved die cast steel, stainless steel, and CPM steel. GMI’s services include non standard sizes, precision grounds bars, and precision ground blocks. With over 200 years of combined experience and a 24 hour operating schedule, GMI is able to service its customers very quickly from quote to shipment.